Gluten free cupcakes are perfect for any occasion from birthday parties, to holidays, to graduations and more. These recipes are some of my best. I taste test each and every gluten free cupcake recipe on my blog on adults and kids to make sure they are perfect. Everyone loves cupcakes. Cupcakes can come in so many flavors. One of the first things I missed when going gluten free was cupcakes. When we went gluten free, you couldn’t even buy a loaf of gluten free bread in stores, let alone find a good gluten free version of a cupcake. Times have changed and gluten free baking has evolved in so many ways. Each cupcake here has its own unique frosting made with buttercream, cream cheese, or flavored icings. Some of the cupcake frosting recipes are flavored, others are more classic frosting recipes. You can easily interchange the type of frosting for any of these easy cupcake recipes. 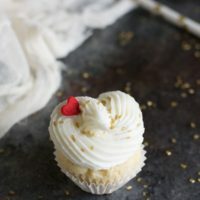 These cupcake recipes are perfect for birthday parties, graduation parties, weddings, cookouts, bake sales, or anytime you want a treat. There are so many gluten free flour blends on the market. I tend to be a creature of habit and I use the same four gluten free flour blends mostly. It doesn’t mean other brands of gluten free flour blends don’t work, I bet they would work nicely in my recipes, depending on the grain to starch ratio…I just haven’t used them. You can also see all of my Gluten Free Pantry Recommendations for more information and details on the different gluten free flours, and nut flours I like to use. Cupcakes are just cake baked in a muffin tin. 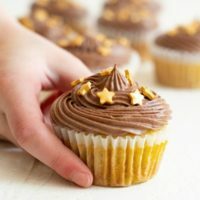 You can make any of my popular gluten free cake recipes into cupcakes! Just choose your flavor and enjoy! What makes cupcakes so moist? The secret to moist cupcakes is all in the mixing. The same is true of muffins. When mixing your wet and dry cupcake ingredients together, it is critical not to overmix your cupcake batter. Mix until “just mixed” so the air bubbles are not deflated in the mixing. This will help your cupcakes turn out light and fluffy, and super moist! Can long can cupcakes stay fresh? Gluten free cupcakes will stay fresh for 2-3 days if you seal them in an airtight container. Don’t frost the cupcakes until you are ready to serve them. If you want to store them longer, I highly recommend freezing the cupcakes. How do you freeze cupcakes? To freeze cupcakes, wrap each individually in plastic wrap. Place the wrapped cupcakes into a freezer bag and freeze. To defrost, remove one from the freezer and allow to thaw. Frost when the cupcakes are thawed out. How many cupcakes do your recipes make? My gluten free cupcake recipes tend to make 12 cupcakes. If you need more than this, just double one of the recipes. The best gluten free cupcakes for any party. Many cupcakes are not only gluten free, but dairy free as well! If you love cupcakes, wait until you try these light and fluffy lemon curd filled cupcakes!! 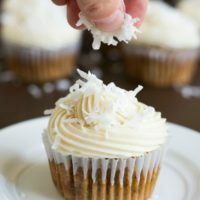 Top with a buttercream or cream cheese frosting and shredded coconut. 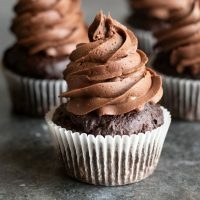 These super chocolaty Gluten Free Chocolate Cupcakes are topped with a homemade chocolate buttercream frosting. Perfect for choco-holics! 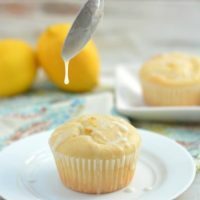 Fresh Lemon is the star in this easy Gluten Free Lemon Cupcakes recipe. Topped with a lemonade icing...these cupcakes are great all year round. 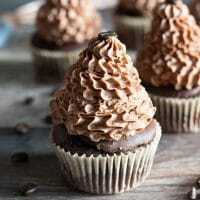 Coffee and chocolate collide into the perfect mocha flavors in this Gluten Free Mocha Cupcakes recipe. Topped with a mocha buttercream frosting. These Gluten Free Carrot Cake Cupcakes are stealthy. Don't tell your kids they are healthy and they will gobble them up. Topped with a homemade cream cheese frosting. Guest Post: Gluten Free Mini Cupcake Bouquet with Blueberry Frosting! This easy gluten free cupcake bouquet brings cheer and welcomes spring in a special way. Mini chocolate cupcakes and homemade blueberry frosting. These cupcakes are free of the Top 8 Allergens too! 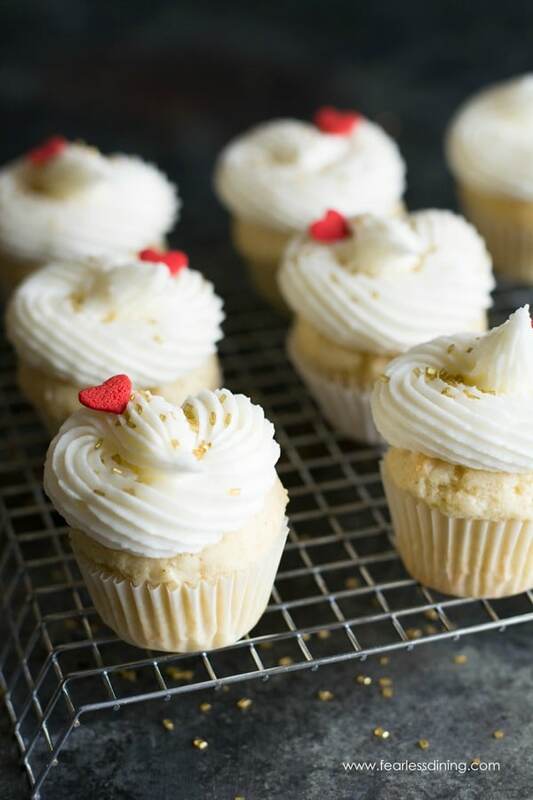 Simple and delicious, this Gluten Free Vanilla Cupcakes recipe is a classic. Top with vanilla or chocolate frosting. 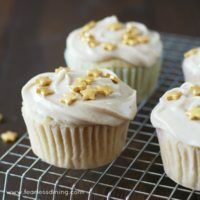 If you need a special cupcake recipe, these Gluten Free Champagne Cupcakes are perfect. Enjoy for New Year's Eve, Valentine's Day, or anytime you have a special celebration. 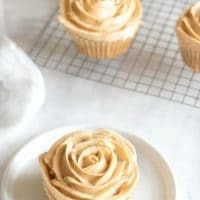 If you love caramel, or even salted caramel, these Gluten Free Caramel Cupcakes with a Homemade Caramel Buttercream Frosting are a delicious cupcake to make! Mouthwatering and hard to resist! No holiday is complete without cupcakes. 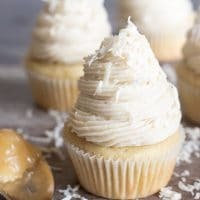 These Gluten Free Eggnog Cupcakes are sure to please even the pickiest eater. Full of eggnog flavor bliss. Pumpkin should be enjoyed all year long!! These Gluten Free Pumpkin Cupcakes are perfect for a party or Halloween. Top with your favorite left over Halloween candy like Butterfingers, which are gluten free. Let me know if you have any questions, I am happy to help! !